Memories of the stars of the Silver Screen, night clubs, and glamour. 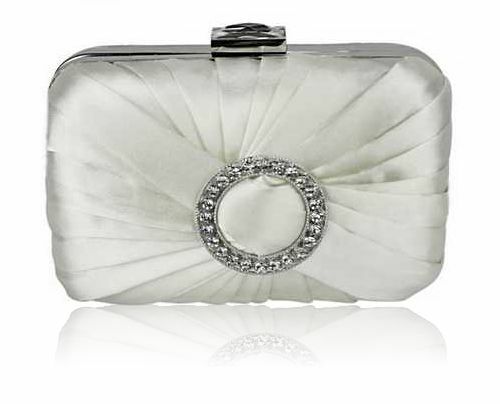 Pleated ivory satin clutch bag with a dramatic clear crystal embellishment. Size: approx 5 “ x 4 “.